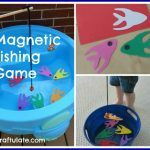 This cereal fish craft is great fine motor practice for little ones. Well it’s been a while since we participated in Fine Motor Fridays but this week we’re back! 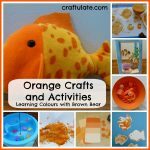 This craft was such a great collaboration between me and my son, with many different fine motor skills being practised. I prepared the craft by printing out a fish outline from Clker.com. I provided F with solid watercolor paints, water and a brush. Solid watercolor paints are one of the hardest paints for young children to work with: they really have to press the brush quite hard into the paint to get strong colors. F decided to paint his fish in his favorite color (this week!) – black! Not *quite* what I had in mind but at least there are black fish! He was reasonably good about painting within the lines of the fish. 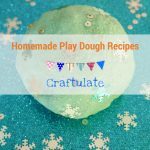 I spread the cereal onto some wax paper to dry – which didn’t take long! Then it was time to glue them to the fish picture. Squeezing the glue is always great fine motor practice! Then F carefully placed the cereal onto the glue. Check out that pincer grip! I did have to finish filling in the fish for him but he probably would have done it for himself if he hadn’t been distracted by train track!